Especially for younger choirs, this Discovery Broadway arrangement of the delightful show by Tim Rice and Andrew Lloyd Webber features a variety of popular musical styles from Broadway to Rock to Country...and even Calypso! 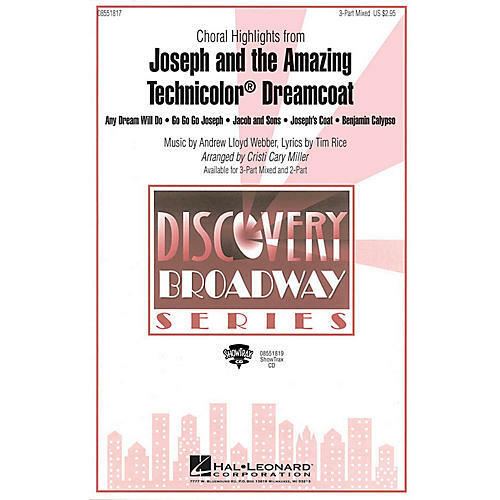 Includes: Any Dream Will Do, Benjamin Calypso, Go Go Go Joseph, Joseph's Coat and Jacob and Sons. Performance Time: Approx. 7:20.Available separately: 3-Part Mixed, 2-Part and ShowTrax CD.